That's 5 weeks away from now. Luna continues to recover from her surgery and rest comfortably. 2. Over at Mind of Mog...Celebrating LOL Cat Day! 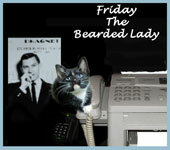 and a late Sunday post added to the CoTC Monday Morning -- Ritzi the Lap Cat & nurse to her beloved human! You are in for an extremely rare treat - 2 awesome, adorable and funny action shots of her...something she rarely allows herself to be caught doing on camera, hee, hee! Please stop by with lots of purrs and purrayers for Miss Mog as she continues dealing with medical issues as we have shared previously and she has talked about on her blog and Facebook. 3. 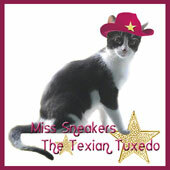 As for us...It has been 3 years since Daddy Kiril posted a video of me, Elvira Mistress of Felinity, 4 years since Nikita's last videos and 5 years since Daddy Kiril did a video starring himself....Now it's Sneakers the Texian Tuxedo's turn....with me & daddy as co-stars! 4 and 5. 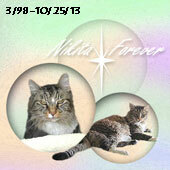 Over at Life from a Cat's Perspective...Wordless Wednesday with Samantha & Mr. Tigger (In Memory) and Monday with Samantha. 6 and 7. Over at Sparkle Cat... This is very cool! -- The Katris Modular Scratching System Just Got Even More Stylish #sponsored and as Summer explains..."not only do we cats rule the world — we have infiltrated the English language! And humans don’t even realize. " Hee, hee! 10. Over at Animal Shelter Volunteer Life...Kittens! 12 and 13. Over at 15 and Meowing...Phoebe gets a poem written just for her! Plus a review of a feline picture storybook for kids! 15 and 16. 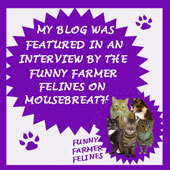 Over at I Have 3 Cats...The Cats at Dawn and a Roly Poly Guessing Game, hee, hee! 1. Friday Ark #531 (actually #532, hee, hee!) 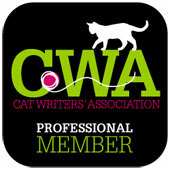 - Cats, Dogs, Birds, Invertebrates, Other Vertebrates and the Extinct! Oh, my! 2. Camera Critters #383 - The oldest active meme about photos of animals/critters! Thanks for including me. I just posted one of Ritzi if you want to add it. You always do a great job with the carnival. Thanks much. Great roundup today! And as always, thanks for sharing ours! Love the Ritzi pics, Mog, and a link has been added! Great carnival -thanks for all you do. Thanks for the great Carnival!! It was a blast! Loved Hearing Sneakers!! I need to make a video and see who is the loudest! Hehehehehe! Sneakers might win such a contest, but I would lose by a mile. Well, unless Daddy Kiril picked me up when I least expect it and I tell him what I think, hee, hee! 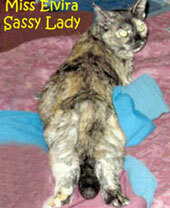 I just don't talk much, preferring to get all my sassyness down in the blog, hee, hee!